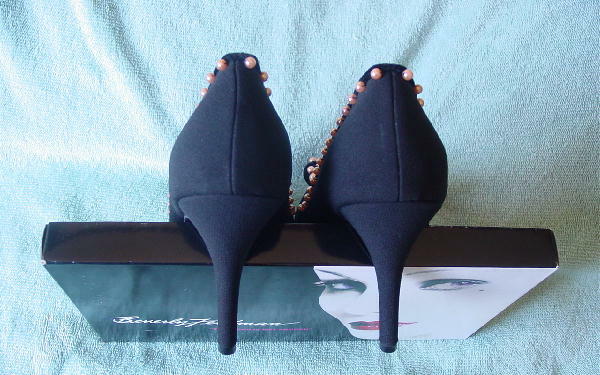 These never-worn black crepe pumps are by Beverly Feldman. They have rounded toes and gathered black velvet panels across the vamps. 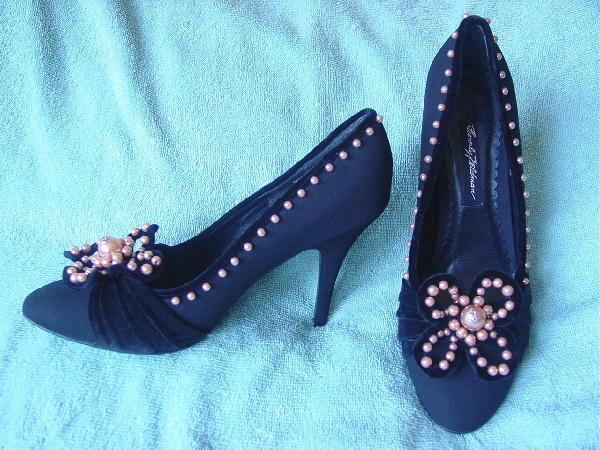 They have a black velvet strip around the openings and below that are peach color faux pearls. The vamp ornament is in the shape of four elevated petals with pearls along their top sides and a very large faux pearl in the center surrounded by smaller faux pearls. There are black leather linings and insoles. They have their own box. They're from a German model. She got them as a birthday present from her boyfriend. She wears a size 11.